The late summer’s biggest prize competitions is now in full swing at most casinos; with Yggdrasil slot machines leading the way. It is a so-called networking campaign and several really good online casinos are connected together. But if we have to choose something to participate in , we prefer the Swedish-based casino Storspelare. In the prize pool you’ll have the possibility to win around 50.000 GBP cut up in 666 (!) different portions. Yggdrasil has chosen three of their one-of-a-kind slot machines and your job is to achieve something specific within each game with as little spins as possible. Which order you choose to complete the assignments doesn’t matter, and you can restart commands many times, but only after 25 game passes. Note that if you start over, this resets all game missions. It’s always your best score that counts; and you’ll simply follow the current score from within games. Golden Fish Tank came in February 2016 and is a truly high quality game, with several cheeky bonus features and a grim free spins round. The mission in the aquarium is to collect 50 free spins symbols. 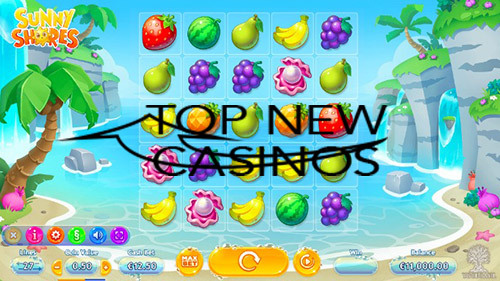 Sunny Shores is probably the one-of-the-kind casino that fits perfectly with Yggdrasil’s competition, whose English name is “Endless Summer”. The game’s driving symbol is a cute little sun that acts like wild (joker). Collect 25 wilds and you have completed the mission in Sunny Shores. Spiña Colada is a slightly different slot machine released at the end of June this year. It has a cool game mechanics where you collect the capsules by unlocking the game’s free spins. These caps are activated randomly and your job is to collect three (3) so-called “feature capsules”. Our experience here, is that this is the easiest of the three assignments presented. We would recommend that you start by playing through all three missions once in order to get a feel of what’s going on, but above all, your competition ID is assigned. During the first replay you also take note of how many turns each slot machine’s quest is required. When you are ready to improve your first result, you start in the game that took the most amount of spins the first time.